.. I didn't have time to do little drawings of all of the patterns. maybe perhaps and until I check it out again I can't be sure! 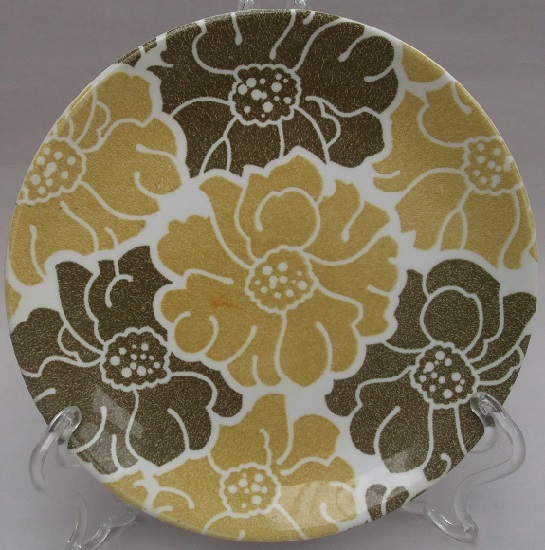 This pattern with big gold and brown flowers and a brown rim band is called Ballerina Gold d330 and it has primrose 3019 cups to match. Thanks for JanPots help on this one! 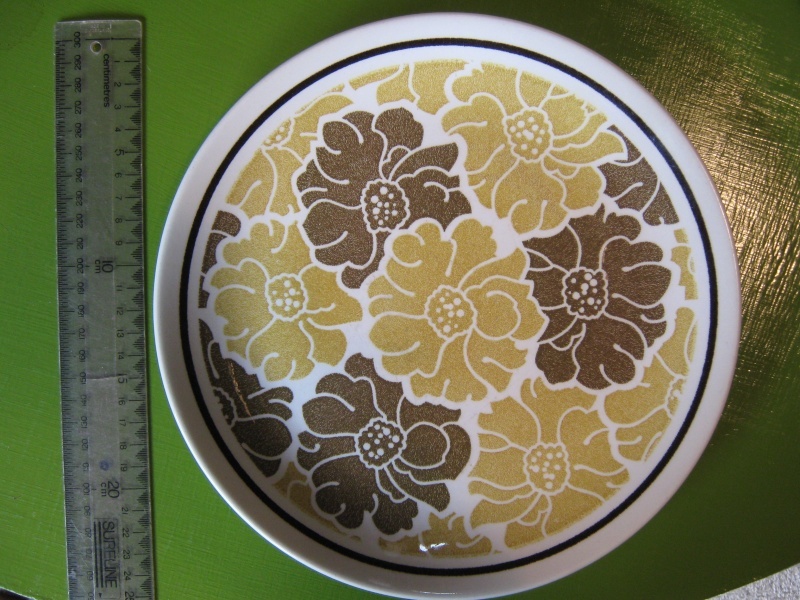 Found a similar pattern today that has an all over pattern and gold and dark green flowers. Thanks so much Janice !!! I kept looking for ballerinas. 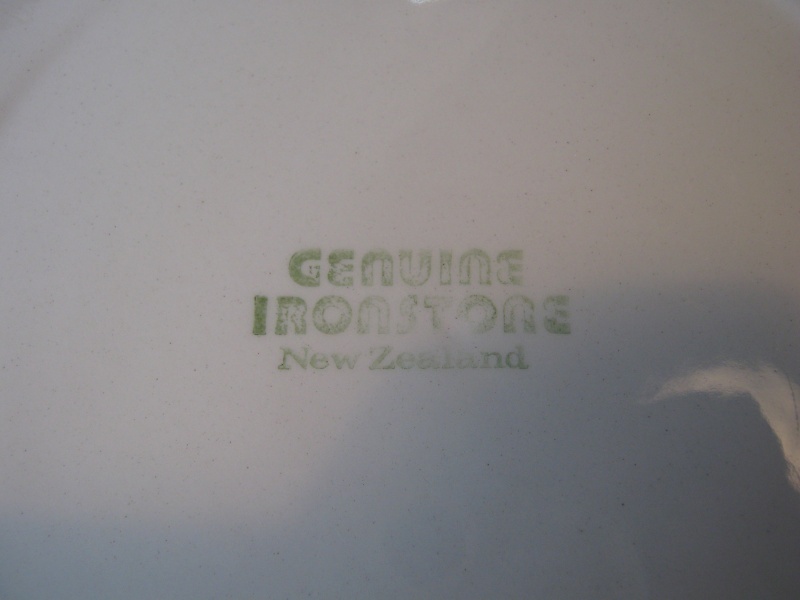 Yes it is Cameo Bronze d668 which has gold and green flowers! !